Planet of the Apes - 35th Anniversary Edition - BUY THIS DVD! This box set contains the entire third season of ANGEL, the popular BUFFY THE VAMPIRE SLAYER television series spin-off starring David Boreanaz as a vampire attempting to atone for his past sins. Containing over 22 episodes of action, ANGEL proves once again that Joss Whedon is one of television's most original visionaries. HOW TO WIN? SIMPLE. SEND IN YOUR NAME AND ADDRESS TO contests@efilmcritic.com. Put "APES 35" in the subject line and cross your fingers. There will be 5 lucky winners. We will draw names and one of the DVDs from Fox will be yours. Only 1 entry per household. Dave Gahan: Live Monsters - BUY THIS DVD! Depeche Mode singer Dave Gahan stepped out alone for the first time both as a singer and a songwriter with his album "Paper Monsters." An extensive world tour followed, which saw Gahan surround himself with a tight backing band of musicians who delighted packed houses everywhere. The set list saw Gahan and his cohorts performing the bulk of "Paper Monsters," as well as a tantalizing selection from the Depeche Mode back catalogue.This release features material taken from a show at the Olympia in Paris, and includes the songs "Dirty Sticky Floors," "Hidden Houses," "Personal Jesus," "Never Let Me Down," and more. 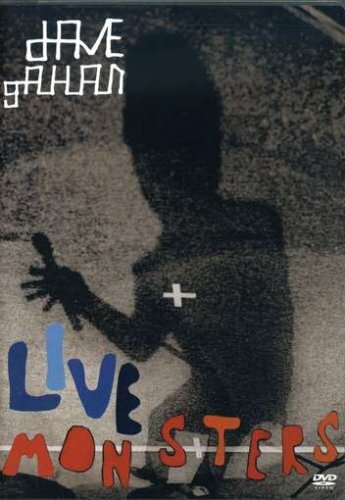 - Recorded live at the Olympia in Paris, 'Live Monsters' is the first solo DVD from enigmatic Depeche Mode frontman, Dave Gahan. - Features songs from Dave's critically acclaimed solo release, 'Paper Monsters'. - 15 electrifying performances including the Depeche classics 'Personal Jesus', 'Never Let Me Down Again', and 'Walking In My Shoes'. 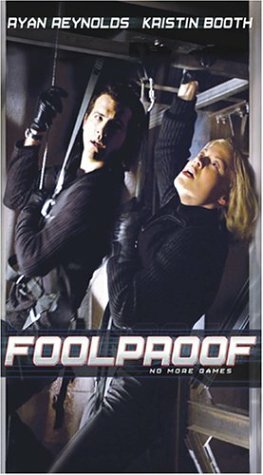 Foolproof - BUY THIS DVD! Kevin, Rob, and Sam get their kicks by planning perfect heists without any intention of actually pulling them off. But when gangster Leo (David Suchet) hears about their little group, he decides to blackmail them into putting $20 million in untraceable bonds in his hands. Before long, these three friends find themselves in a situation which will push their very trust in each other to the limit...if it doesn't them in prison first. This Canadian production stars Ryan Reynolds (VAN WILDER). HOW TO WIN? SIMPLE. SEND IN YOUR NAME AND ADDRESS TO contests@efilmcritic.com. Put "FOOLPROOF" in the subject line and cross your fingers. There will be 5 lucky winners. We will draw names and one of the DVDs from DEJ will be yours. Only 1 entry per household. 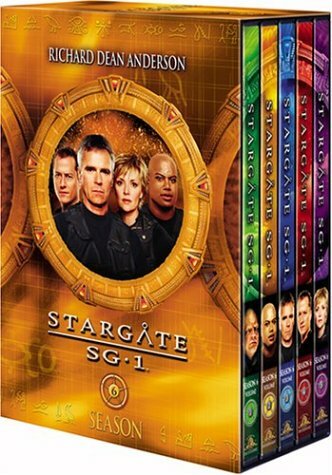 Stargate SG-1 (Season Six) - BUY THIS DVD! The futuristic action continues in the sixth season of STARGATE SG-1, the popular sci-fi series.Richard Dean Anderson is back as the leader of the crew who can instantly be transported to anywhere in this or any other universe. The crew hops from planet to planet in this collection containing every episode from the show's sixth season. favorite films on the festival circuit from 2003. 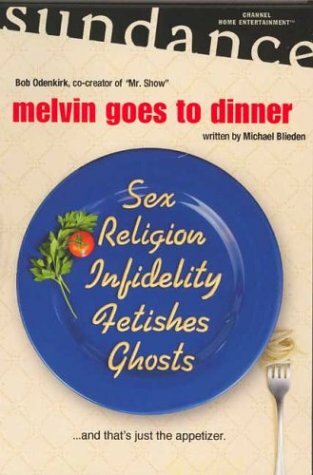 Melvin Goes To Dinner - BUY THIS DVD! HOW TO WIN? SIMPLE. SEND IN YOUR NAME AND ADDRESS TO contests@efilmcritic.com. Put "MELVIN NEEDS FOOD" in the subject line and cross your fingers. There will be 10 lucky winners. We will draw names and one of the DVDs from Sundance will be yours. Only 1 entry per household. Homicide Life on the Street - Seasons 1 & 2 - BUY THIS DVD! Homicide Life on the Street - Season 3 - BUY THIS DVD! Homicide Life on the Street - Season 4 - BUY THIS DVD! THEN SEND IN YOUR NAME AND ADDRESS TO contests@efilmcritic.com. Put "HOMICIDE" in the subject line and cross your fingers. There will be 1 lucky winner of the DVDs. We will draw names it could be yours. Only 1 entry per household. Scientists are complaining that the new Dinosaur movie shows dinosaurs with lemurs, who didn't evolve for another million years. What about the fact that the dinosaurs are singing and dancing? Barbarians - BUY THIS DVD! They were the dreaded forces on the fringes of "civilization," the bloodthirsty warriors who defied the Roman legions and terrorized the people of Europe. They were THE BARBARIANS, and their names still evoke images of cruelty and chaos. But what do we really know of these legendary warriors? From the frigid North Sea to the Russian steppes, this ambitious series tells the fascinating stories of four of the most fabled groups of fighters in history, tracing 1,000 years of conquest and adventure through inspired scholarship and some of the most extensive reenactments ever filmed. Vikings sails with the Norsemen from Arabia to the New World, stopping off for a bit of pillaging along the way. Goths reveals why this once-fearsome people subjected themselves to Roman rule, only to rise up again at the battle of Adrianople. Mongols rides with Genghis Khan and his descendants as they sweep from Asia to the heart of modern Germany in a frenzy of expansion. Huns probes the truth behind the mysterious warriors who were led by man whose name remains synonymous with bloodshed and destruction--Attila. HOW TO WIN? SIMPLE. SEND IN YOUR NAME AND ADDRESS TO contests@efilmcritic.com. Put "BARBARIANS" in the subject line and cross your fingers. There will be 2 lucky winners. We will draw names and one of the DVD sets from A&E will be yours along with a trusty Barbarians T-Shirt. Only 1 entry per household.